Dr. Freek Beekman Visits Imanis! Imanis is excited to release a new video series showcasing our connections with leaders in the field of preclinical in vivo imaging, starting with Dr. Freek Beekman! We welcomed Dr. Freek Beekman to our offices on June 7. He was visiting Rochester, MN from his home in the Netherlands to give a presentation at Mayo Clinic. While visiting at Imanis, we had a conversation about how MI Labs has grown since he founded it 11 years ago, how his U-SPECT and G-SPECT technologies are revolutionizing therapeutic strategies, and the importance of consumer feedback in developing his equipment. He also talked about maintaining a connection with the Imanis team, despite being separated by the Atlantic. Watch a brief video of our conversation, or continue reading below! MI Labs has grown dramatically since you founded it. Can you describe how this process has been for you? There are big steps you make, like install the first system at a client site, then install the first system in North America under a lot of resistance from competitors who don’t want you to get in their territory, and that is really a challenge. But also, very satisfying, that people choose something you’ve built when you are still a small company. Despite that, they want your product anyway because they agree they can do big things with it. That is very exciting, but also there are sometimes sleepless nights, because you don’t want anything to go wrong at a client’s site. It is a big responsibility to deliver a machine that is going to be used for medical research . . . You have to take care when you go from a local company to a company that operates worldwide. You and your team designed the first U-SPECT system with ultra high resolution for imaging small animals. Can you describe this technology? We started off with a U-SPECT. We had a research model that won several awards, like the image of the year from the society of nuclear medicine, that were of course indicators that we had something special. We know what distinguished our system from other systems, and that was a much better resolution, also, a higher sensitivity, and higher imaging speed. The system is suitable for dynamic imaging, so you can make movies of the tracers that are in the body. You can see where they go to an organ or a tumor. On top of that, our system do not have moving detectors, making them very reliable. That made U-SPECT a big success in the market. 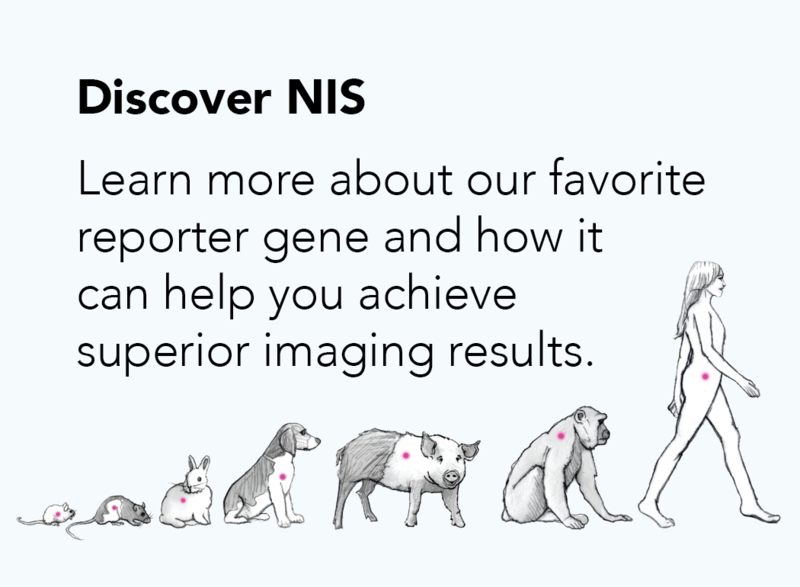 Why is having this high resolution imaging equipment in small animals important for the development of new therapeutic strategies? You can compare it to reading a book. If you have no sharp vision and you have to read the book without glasses, you cannot distinguish the letters or learn much about what is in the book. The book of biology can be your mouse, where you want to see in which structure a tracer ends up. The better resolution, the better you can do this. Availability of imaging equipment is extremely important for companies like Imanis that provide imaging reagents. Can you describe your connection with Imanis? The Imanis people who also work at Mayo clinic, were the first people at Mayo Clinic who published [about MI Lab’s SPECT technology]. I was amazed at how quickly that went. We had a system installed and immediately we saw publications in very highly ranked journals, and they were explaining why resolution for them was very important, that you can also see what the effect was of having a higher resolution. They could suddenly see what they couldn’t see before. That’s of course nice when you have a happy client! And you can talk about science. I’m a scientist myself, so, I really liked it. We regularly talk about what is needed for the future. It’s a special relationship. We enjoy to see each other very much. Moving on to the scale of human research, you’ve developed the G-SPECT System. Can you explain this technology? The G-SPECT is very much inspired by the pre-clinical product, the U-SPECT. So, all of the advantages of having a higher resolution, high sensitivity, high speed, are also in the G-SPECT. Many principles are very similar. The problem there was it takes a huge investment to make that step. We have a long way to go to get it approved. The system is not yet in the market, but we found investors that support the clinical approval of this system. That keeps us busy! It is interesting that there are many requests all over the world to get this system. There is a pull from the market instead of us having to advertise it. When you were developing U-SPECT, was the idea for the G-SPECT always there? Yes, it was. Although, only doing preclinical would also be and stay very satisfactory, because we can innovate there still a lot, and we will do that as well. And I always got the question “Can you also improve the resolution of SPECT for human beings?” I knew that we could do that. We did a lot of theoretical work, together with my collaborator Marlies Goorden from the Delft University of Technology, so we knew we could build this machine. We felt it also was our responsibility to build it, because we saw that there needs to be a high resolution SPECT in the clinic. What is the importance of customer feedback as your grow your business and produce new equipment? You really have to be with the customers, talk with the customers, and take every complaint seriously . . . It is not so much complaints, but more ideas. You have to think “how could we do that?” and “how many users could benefit from that?” It’s fun and it’s nice, and the machine is better! I like the engineering and I like to invent, to think about a problem and find a solution. I have a team that likes that too. They are very good engineers and programmers. I cannot sit still if there is a problem! There’s always a problem in science. We want to see the unseen. There is always something that is unseen and that we may be able to make visible. Thank you to Dr. Beekman, and thank you for reading or watching! 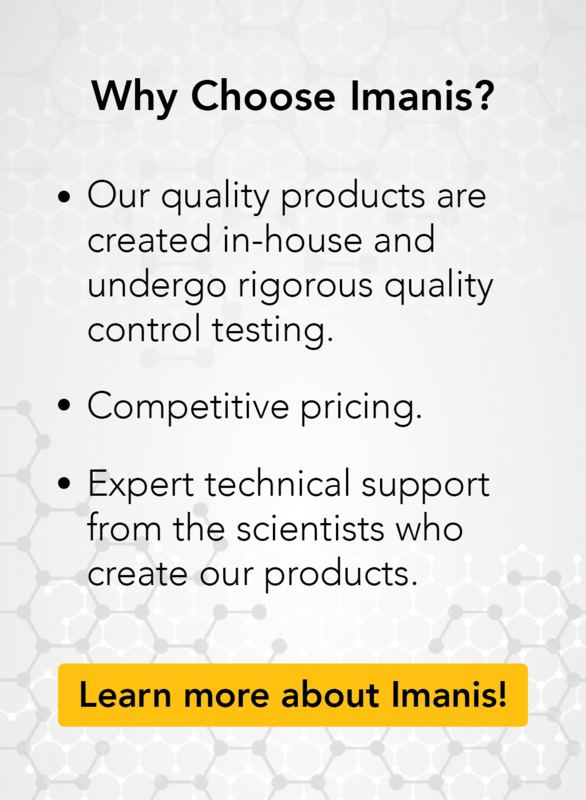 Imanis is happy to work with companies, such as MI Labs, whose equipment showcases the potential of our high-quality reagents. Explore our selection of lentiviral vectors and cell lines, made in-house by our expert scientists, here. Visit our youtube channel to explore upcoming videos and exciting content.